The center of your content marketing strategy is probably your own company’s blog, as it is for most businesses. 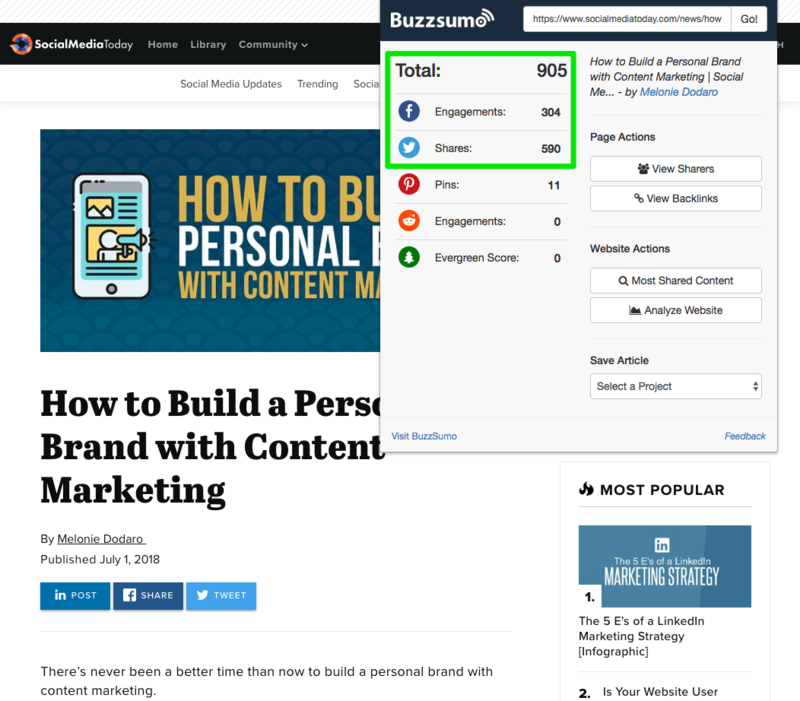 But if you’re just starting your content marketing program, zero people are visiting that blog on their own, regardless of how good the content there is. Sure, you can (and should) spend time on content promotion and SEO to help new readers find you, but it can take months for those tactics to start showing real results. With content syndication, on the other hand, the content itself becomes a mechanism for promotion and can get you in front of new audience members a lot more quickly. And syndication is hardly a tactic only for newbies. Some of the top thought leaders in the field get their articles picked up and republished by additional outlets. Let’s look at the basics of content syndication, what it is and isn’t good for, and some tips for getting started so you can decide if it’s right for your content strategy. When an article of yours is syndicated on another site, you’re still credited as the original author, and there’s usually a link back to your website or the original article, along with a canonical link (more on this below). 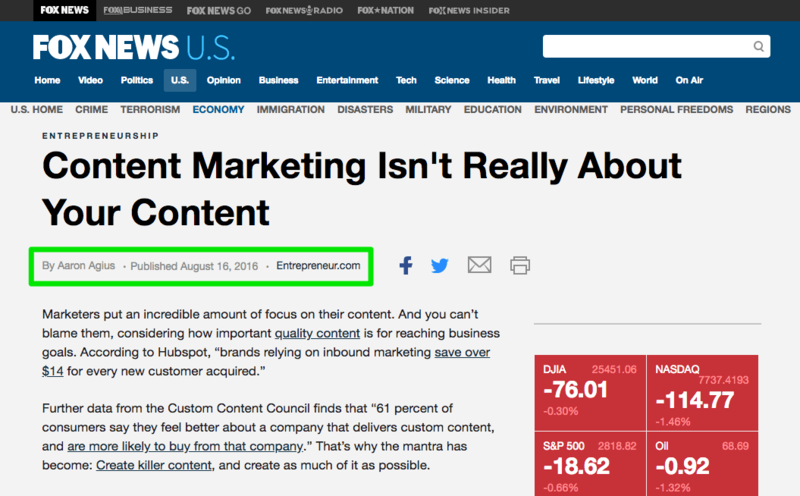 To readers, it looks like any other guest post – the only difference is that the content previously appeared elsewhere, which is usually indicated on the page. Publications of all sizes take advantage of syndication, so it’s a chance to be published by top industry sites. For example, if you manage to get accepted as a contributor to Entrepreneur, your work is likely to draw plenty of eyeballs, given that the site receives over 18 million visits per month, according to SimilarWeb. But once you’re on Entrepreneur, that’s just the beginning of your reach, as your articles may also surface on Fox News, which boasts an audience over 19 times the size of Entrepreneur’s, since these two properties have a syndication partnership. Content syndication won’t be the best strategy for every business. Because you’re sacrificing a few benefits in exchange for access to someone else’s audience and website, it becomes a matter of what your priorities are. Syndicating content works best for those who want to get their ideas and brand in front of bigger audiences. Since readers can consume your content on the third-party publication, even with a clear backlink, they’re not the best source of referral traffic. And while fear over “duplicate content” penalties is exaggerated in the case of syndication, it’s also not the best SEO strategy. However, if you’re more focused on getting your content visibility for the purpose of brand awareness, social shares and follows – or, if thought leadership is one of your primary objectives with content marketing to begin with – then syndication should be beneficial. In the above example, MobileMonkey CEO Larry Kim has syndicated a listicle of interesting CMOs from his Inc. column on Search Engine Journal. This serves to build brand equity in the minds of Kim’s readers across platforms. The end results Kim may be after likely involve customer acquisition. But in shrewd content marketing fashion, he doesn’t attempt to convert audience members with aggressive calls-to-action or even mentioning his product at all. Rather, it’s about cultivating the impression that Kim is a marketing expert whose advice can be found virtually everywhere. Inc. and Search Engine Journal readers may not visit his company’s website immediately after reading the article in the above screenshot, but seeing Kim’s regular contributions across the web creates an impression. Through that content, they’ll learn more about what his company does and should the need for a chatbot arise, his company will be top of mind. If your brand has excellent content but limited traffic, then your ideas are somewhat wasted by living where eyeballs are scarce. 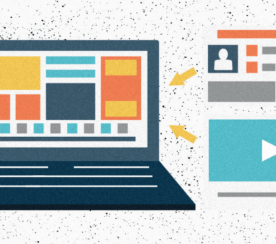 Syndicating it to a third party can get better use out of it, placing it in front of the types of audiences you want to attract to your site eventually. And along with a large website audience, syndication websites often have large social followings as well. Between their own social promotion of syndicated content and their audience’s subsequent social shares, you can gain a lot of visibility on social media by syndicating. This can help your own social audience grow. 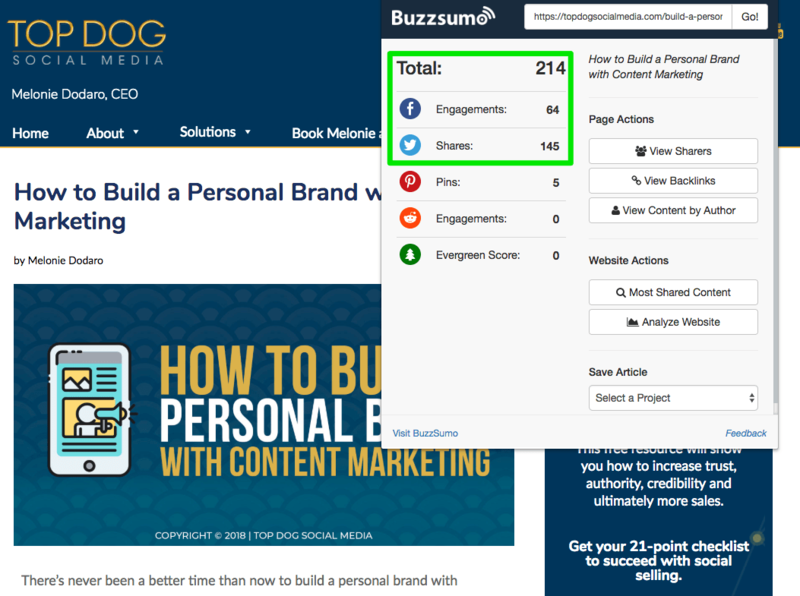 When Top Dog Social Media CEO Melonie Dodaro, an established influencer in her own right, published a piece on personal branding on her blog, it drew a respectable 214 social shares, according to BuzzSumo’s counts. But when she ran the same item on Social Media Today, it yielded a whopping 905 shares. Overall, while syndicated content may cannibalize a bit of traffic from the original content on your website, you still have the opportunity to bring its viewers into your own audience on a longer timeline. Whether they eventually visit your website, share your content, or follow you on social media, the visitors of your external content can still help propel your brand forward. Where & When Should You Republish? Once you’ve decided to test syndication in your content strategy, your success will lie in how you go about it. The first thing you need to decide is where to syndicate content from. 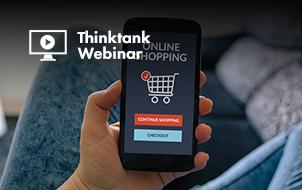 This will most likely be your own website, but if you’re already publishing external content or thought leadership, you may be able to use that as well. It depends on the individual outlet – for example, Search Engine Journal allows guest bloggers to do so, as long as you wait two weeks. Next you need to decide which websites to syndicate your content to. In the case of content that originally appeared elsewhere, you can republish it on your own site. Otherwise, you’ll be looking to build relationships with editors at more third-party publications. The most important part of choosing a place to syndicate your content is ensuring it’s somewhere your target audience spends time. Remember, this isn’t your most effective tactic for building links or referral traffic, but is a great opportunity to talk directly to another outlet’s audience. You need to make sure that audience is relevant to your business for it to bring results. When looking for third parties through which to syndicate your brand’s content, here are a few places you can consider. Syndication-friendly multi-author blogs: For business-related content in a variety of industries, Business 2 Community is a publication that makes it easy to automatically syndicate content through your blog’s RSS feed. For digital marketing and social media specifically, Social Media Today is an option that works similarly to B2C. Social networks: Many of the top platforms have their own built-in long-form publishing tools, such as LinkedIn Publishing Platform, Quora blogs, and Facebook’s Instant Articles and Notes. You can easily republish your own content on these sites to take advantage of their audiences and content discovery features. Blogging platforms: In addition to the blog on your company website, you might want to explore republishing and syndicating content on other blogging platforms with their own built-in audiences. Examples of these include Medium and Tumblr. 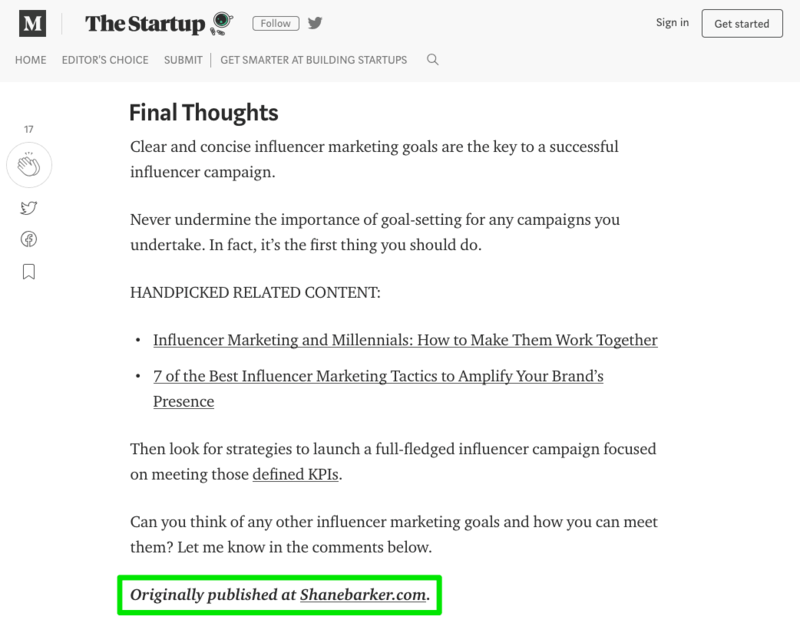 Medium, in particular, is a great opportunity, as it allows you to push your content to other publications, with their own loyal followings, from within the Medium ecosystem – as in the case of the below example from Shane Barker in The Startup. Once you’ve decided which sites to target with your syndication efforts, you’ll also want to consider timing around when syndicated content goes live for maximum visibility. Obviously, syndicated versions of a blog post will go live after the original version, but how long after? 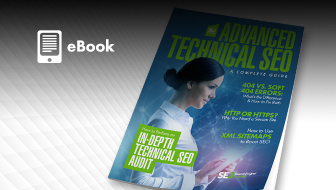 Ideally, with platforms you have control over, you’ll want to wait to syndicate until the original version has been indexed by search engines and perhaps even ranking. This is because your syndicated content can easily outrank the original version if you’re syndicating to higher authority websites. To mitigate this, you’ll want to ensure Google has seen your original content and the link is set up correctly (which we’ll get to in a moment). That way, if anything, syndicated versions after the fact may even boost the reputation of the original piece. Additionally, if you plan to syndicate one piece to multiple platforms, you may want to consider staggering the publishing dates to keep the momentum and conversation around your content lasting longer. Now that you understand the mechanics behind content syndication, how can you create partnerships and get started using it to build your own audience? As you get started, here are a few things to keep in mind to increase your chances of success. Syndication relationships are very similar to those with guest blogging. The relationship building processes are likewise similar. 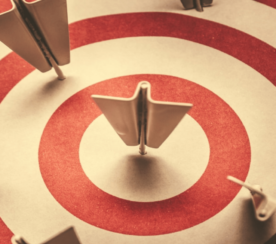 Once you identify target publications your audience is interested in, you’ll want to research them to learn more about their content and style as well as whether they accept syndicated content. After that, you’re ready to send them a customized pitch laying out your offer and – most importantly – what’s in it for them. Once you reach out, you’re able to learn more about the publication’s specific process, such as whether they need your RSS feed or prefer you send submissions via email, or directly to their CMS. 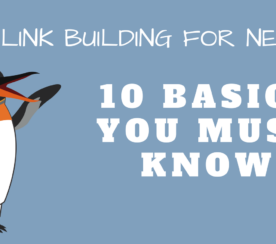 While syndication isn’t a link building strategy, links are essential to its success. You’ll want to do whatever possible to avoid cannibalizing search rankings of the original content. Links are how you accomplish that. When building partnerships, make sure that partners that syndicate content for you include a canonical link to the original post before publishing. This will signal to the search engines that all SEO equity related to the content should be attributed to its original version. 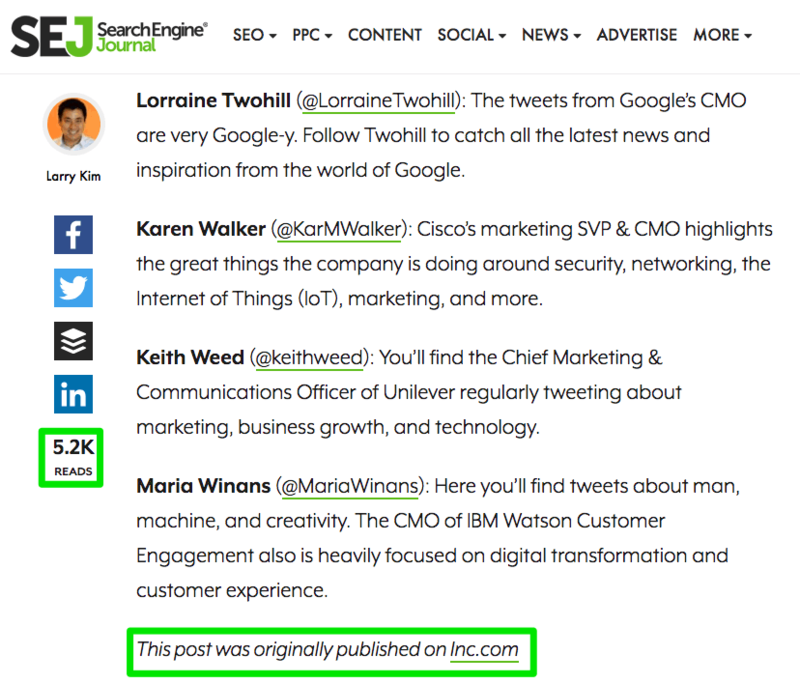 If you’re creating the syndicated post yourself, how to insert a canonical link will depend on the platform. 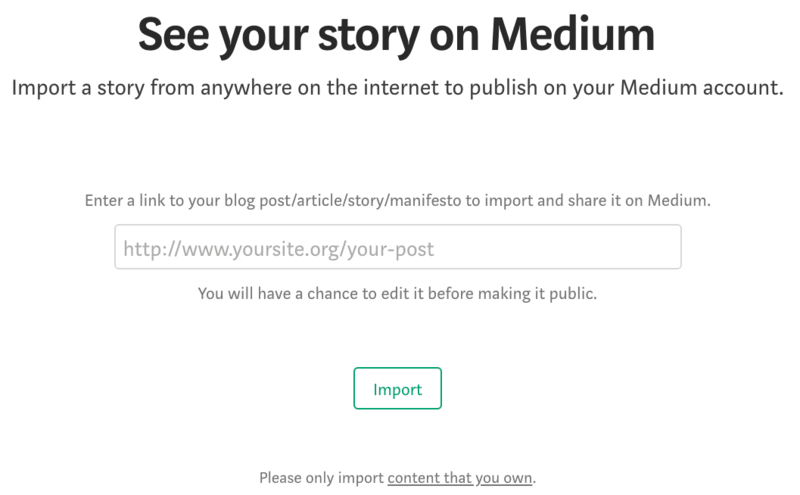 For example, Medium has a simple content importing tool that automatically adds it for you. Additionally, if allowed, you can add links to your content and website within the content and link to the original version at the bottom of the post for any members of the third party’s audience who want to check you out further. 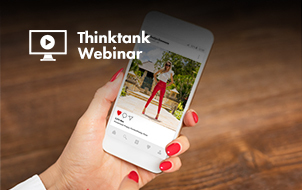 Finally, when you’re using syndication for brand awareness, thought leadership and buzz, you have an opportunity to create and build on momentum. 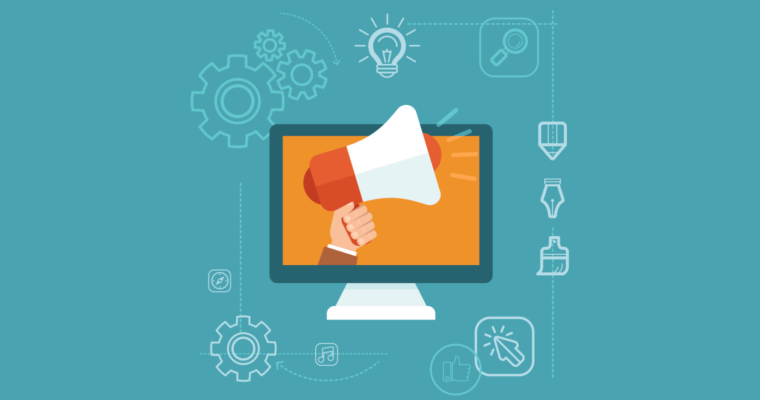 By syndicating one piece of content to multiple outlets, and having those versions picked up by even more outlets, that content can snowball into a multi-channel awareness campaign for your business. This takes strategy, however. It won’t happen if you’re syndicating a piece of content for the first time or if you’re just working with a single partner. 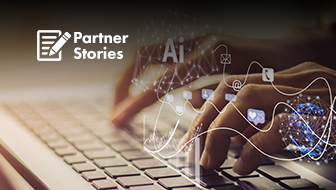 When you decide to use syndication as a content marketing strategy, really put the effort in to create multiple and strategic partnerships that can make this momentum possible. When used well, syndication can bring you the benefits and visibility of extensive public relations and guest blogging with significantly less time and content creation involved. If you have the owned media assets needed to fuel ongoing syndication, you might as well at least give it a try.